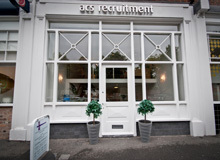 We are recruiting for a Locum Solicitor for the Commercial Property team of a Merseyside firm. Role will be based in their various Merseyside offices. Successful candidate must have experience drafting leases. Unlike other agencies; we will keep you updated throughout the whole process. From CV submission to you obtaining a position- (We can liaise on weekly/monthly basis tailored to meet your requirements if need be). Not only do we just submit your CV for vacancies, we market, speculate and promote your CV to companies that we think are best suited to you. We believe it takes hard work to find the right job for you. For further information on finding the ideal role for you please contact one of our consultants today via: email or call 0151 709 3960. 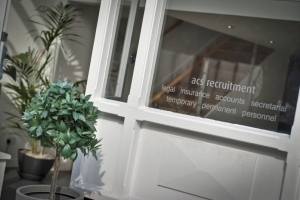 If you cannot commit to a permanent position, we can accommodate with assistance on a temporary basis. We can appreciate how stressful and difficult it is to find a vacancy, but you can be sure that our consultants are doing the best to find the right vacancy for you. We try to help all levels of staff and strive to find your perfect role, temporary or permanent. With our experience and our relationships already in place with Clients already in place, we can find your next appointment. Ideally we would like to meet you in person to understand and build a relationship with you, as we know that there is more than just matching your CV with the vacancy. We can learn and understand what you want, like or dislike and need in a vacancy. Our consultants believe quality and service form the foundation of your success. We have skilled consultants able to assist you with advice on what to expect in your interview.